Deep into editing something of my own the last couple of days, I am astounded by my use of that. When editing for others, I pick the single word up when used as filler and stalling in a snap. In my own, phew. My editor highlights the word and my pages look like confetti. How can this be? I am certain that when I speak I don’t use that word that many times no matter how often that seems to fit in. Ummm, confetti time again. Not too sure highlights would show in a blog. In case it doesn’t, how about some samples of how not to use that too many times. We’ll start with the sentence I just used. I am certain when I speak I don’t use the same word so many times no matter how often the particular word seems to fit in. You will notice how often the particular word was simply deleted without hurting the sentence at all. Other times substitutes were used. Of course substitutes lead to other overused words such as it, that horrid undefined pronoun. The is another favorite. To avoid those, often times a complete rewording of the sentence is required. The only thing that distracted him from those emotions was curiosity. That did indicate some level of intelligence. That was not, however, her first thought on waking. The sound was continual, and standing on the outside of the bathroom door, she was sure of what it was. Why would he be flushing the toilet time after time? The only thing to distract him from those emotions was curiosity to indicate some level of intelligence. His at least minimal degree of intelligence was not her first thought on waking. The sound was continual, and standing on the outside of the bathroom door, she was sure of what it was. Why would he be flushing the toilet time after time? Following that, she mixed and matched, quizzing him. He didn’t have any problem picking that up and identifying each pair before he held up the pitiful bouquet. She mixed and matched next, quizzing him. He didn’t have any problem picking either up and identifying each pair before he held up the pitiful bouquet. What progress in trust she had made the days before was gone. He was right back to his favorite phrase. That circumstance wasn’t going to make what she wanted to do that day easy. He’d have to trust her to get into the helicopter with her. She hoped that his curiosity would override any fear. She was disappointed. What progress in trust she had made the days before was gone. He was right back to his favorite phrase, a circumstance to make what she wanted to do more difficult. He’d have to trust her to get into the helicopter with her. She hoped his curiosity would override any fear. She was disappointed. While fixing the too many that’s keep this in mind also: who instead of that: who refers to a person. That refers to a thing. Wrong: Judith was the only one that understood he didn’t know, that he wasn’t simple. The men in town called him simple; the doctor called him simple. Judith was the only one that understood it was because he didn’t know, but Judith lied to him. There were Madelines, Madelines that hurt him without cause, Madelines that wanted him for milk, for mothers, for breeding. Right: Judith was the only one who understood he didn’t know and wasn’t simple. The men in town called him simple; the doctor called him simple. Judith was the only one who understood it was because he didn’t know, but Judith lied to him. There were Madelines, Madelines to hurt him without cause, Madelines who wanted him for milk, for mothers, for breeding. I have come to the conclusion, in the interest of saving time, I will highlight myself, looking for a single four letter word used repeatedly before I send in my manuscripts. I’m sure my editor will love me. A little trick for all of you to learn. Your editors will love you. These little excerpts are from Bonds of Time to be released this coming fall by MuseItUp Publishing. In Feb look for Traps, a contemporary suspense with lots of romance mixed in. In May Mark of the Sire, a western, again with some romance mixed in among the suspense and action. Switching off to another publisher, Mourning Meadow, a re-release, will be out through Secret Cravings Publishing, another contemporary suspense with a bit of ghosties thrown in. Yes, I do write in several genres, but–and this I promise–the editors have made me take out my tendency to over use that. Take a peek while you’re at it at those already out at MuseItUp Publishing. 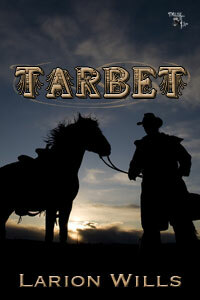 https://museituppublishing.com/bookstore2/ three and counting, the last of which is Tarbet, one from my growing western collection. Tarbet: Some men who carry a badge are no better than those they hunt. Words enough to frighten Susan into letting Tarbet die? “One of my hands,” Horace answered. The woman, Susan Flaggen, gave them a look of annoyance. “If you’re all he’s got to protect him, he’s in poor hands.” She moved closer, her rifle barrel reaching out so casually to push the edge of his coat to his side it appeared to be no more than an extension of her arm. “We didn’t lose him!” Horace exclaimed. She turned the rifle, resting the barrel on her shoulder. Her eyes moved, following a trail of flattened grass, narrowed as she studied the tumbling down wall of the old smoke house beyond. When those hazel-green eyes came back, she looked into Tarbet’s eyes for the first time. “I doubt he could tell me,” she murmured. “Why not?” Angela asked faintly. “Take him to the doctor,” Horace answered. “My son has no reason to harm this man,” Horace said in a calmer voice. “What would you suggest?” Horace asked. ”So Mr. Garland can come—” Angela began. She stopped with a gulp. Anger flashed in those hazel eyes as she answered with her voice sharp and her back stiff. “Everyone knows Mr. Garland does not come anymore,” she retorted, finishing what Angela hadn’t. Horace heaved his short, fat body up and quickly changed the subject. “This is very kind and generous of you to take on such a burden,” he told her. With a start, she said, “Wait a minute. I didn’t−” The words stopped abruptly as her eyes swung back to Tarbet’s and his hand rose a pathetic few inches, reaching out to her in what appeared to be a silent plea. And because. giving a reason for everything is so much easier to explain with because. I so identify with the use of that..but another nemesis for me is just. I just had no idea that I used just that many times in my ms until Karen Mc discovered that…LOL..Thanks for the examples. Michelle, d@mn's a great idea! I read somewhere that Mark Twain said: "Substitute "d@mn" every time you're inclined to write "very;" your editor will delete it and the writing will be just as it should be." I think the advice would work well for the word "that." Great advice! And great excerpt!